Gossip,News,Fashion & Sports. : Bride Vanish With Fiance's £11,000 At Airport!!!!! 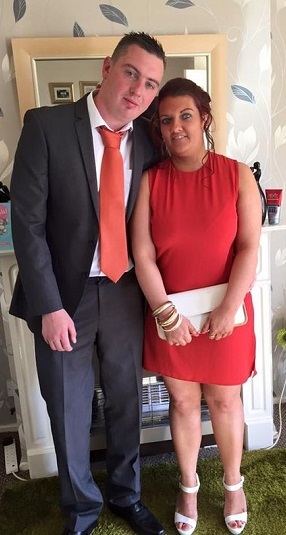 Bride Vanish With Fiance's £11,000 At Airport!!!!! 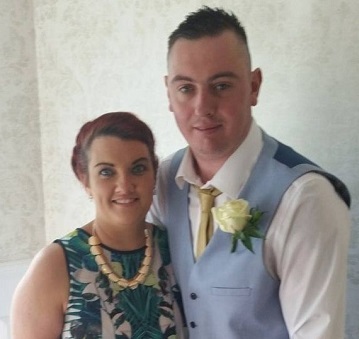 Friends of jilted Chris Mahone have told how he is devastated after his fiancee allegedly fled with his stag party cash. Sources claim Rachel Doran ­pocketed £11,000 that had been set aside for him and 30 pals to ­celebrate on a trip to Ibiza. And the 29-year-old is accused of handing over bogus boarding cards to the group at Leeds airport before vanishing. When Chris, 27, and his friends tried to check in with Jet 2 Airways they were turned away. One mate said: “Chris was really embarrassed at the airport and couldn’t stop apologising. “He was in shock and still can’t believe what has gone on. It’s going to take him a while to get his head round all this. Chris, who was due to marry Rachel in December, took to Facebook today to tell of his heartache. He wrote: “Words cannot describe the pain and feels (sic) that are playing with my head today. He was supported by Rachel’s brother Ryan, who last night said he and his family had disowned his sister. He posted: “Too good of a lad for a scumbag like that pal, she will get what’s coming to her. Friends and family rallied round Chris, who works at nearby ­Sellafield nuclear power plant. Sian Price added: “Thoughts with you Chris, your mind must be tortured with it all. You will be feeling what she should be feeling.” Chris’s mum Diane Casson praised his friends. After allegedly being dumped, Chris – who started dating Rachel in 2015 – headed to a pub in Leeds to drown his sorrows. But eight of his pals booked last-minute flights to Magaluf in Majorca in defiance.